Open To Any And All Campers In 7U, 8U, 9U, 10U, 11U, 12U, 13U Or 14U Divisions. The University Of Iowa Will Coordinate The Pre-Game Mini-Camp. 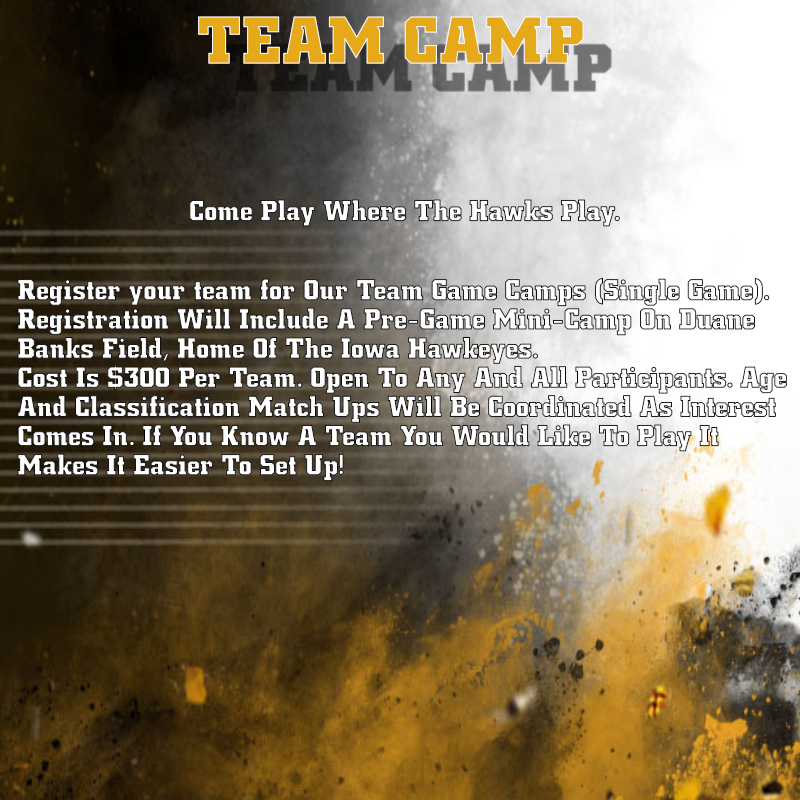 Each Team Must Provide Two Coaches That Will Be In Charge Of Their Team During The Entire Team Game Camp, Including The Mini-Camp. USSSA Rules And Field Dimensions Will Apply But This Is Not A USSSA Sanctioned Event (No Points). Time Between Innings Will Be Monitored And Enforced. There Will Also Be A Maximum Runs Per Inning Rule. Both Stipulations Are Put In Place In Order To Paly As Many Innings As Possible With The Allotted Time. There Will Be One Umpire For Each Game. Umpire May Be Behind The Mound Or Behind Home Plate. Email Nic-Ungs@Iowabaseball.Com To Secure A Date. Pick A Date That Is Available. I Will Send Both Coaches The Link To That Date With Instruction For That Day. 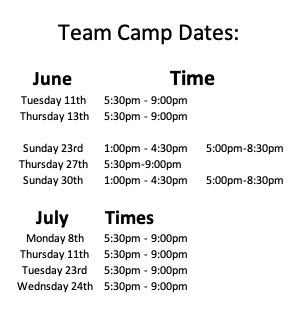 Check out this Baseball camp '2019 Summer Team Camp' with Iowa Baseball Camps!